By Heather Nicholson on June 1, 2013 Visit Heather's Website. Been there, done that! The biggest poultry pitfalls are also the easiest to avoid. Caused mostly by over-enthusiasm and good intentions, these missteps can cause stress, illness, injury, shortened lifespan, and impaired offspring. Avoid these common pitfalls and enjoy a healthy, happy flock for generations! There are so many gorgeous, intriguing breeds of chickens! Blue feathering, spiky topknots, feathered feet, and chocolate-colored eggs tempt us into expanding our flock every season. Hatching eggs are addictive, and hatcheries usually have a minimum order of 25. It’s easy for a flock to enlarge beyond the capacity of the coop and run. Ideally, chickens need a minimum of 4 square feet of space per bird inside the coop and 10 square feet apiece in the run. With a greater density, such as the commercially-based popular figure of 1-2 square feet per chicken in the coop, there is much more debris and droppings in the coop, and it builds up quickly unless you plan to clean your coop every other day. The more densely-packed your flock is into its living space, the more moisture, ammonia, and stress your birds have to deal with. With delicate lungs as well as a delicate social structure, crowding leads to disease and injury. This is why so many commercial chicken operations debeak their chickens and keep them on antibiotics. Even if you plan to free range, there will be many times when your flock is spending waking hours in the coop such as days when you sleep in much past sunrise which comes earlier in the summer and days of heavy rain or snow. Measure your coop square footage (length times width) and divide by four. Make that figure your maximum number of chickens, and you’ll avoid much stress for yourself and your birds. I am afraid I am guilty of this one myself! I am always wanting to hold onto roosters from my hatches for different reasons – this one is great at leading the girls while free ranging but isn’t a great example of his breed, this one would be perfect for that breeding project I wanted to do next year, and this one is just so cute! However, even if you have ample room and your neighbors aren’t at your door with all that crowing, having too many roosters can be very hard on the hens. If the roosters have access to the hens, even while free ranging, there will always be a fellow stalking around the edges of the flock waiting to jump on – or chase down – an unsuspecting hen. The hens are stressed by all of this excess attention, which can become evident through reduced laying, increased pecking, or even illness. Hens can also have their feathers worn away on their back. This can lead to pecking as the pin feathers come in if stress is high or just make them less protected from the weather. Too much attention from rough, hurried cockerels can even result in injuries such as torn combs, pulled feathers, or cuts on the side from long spurs. 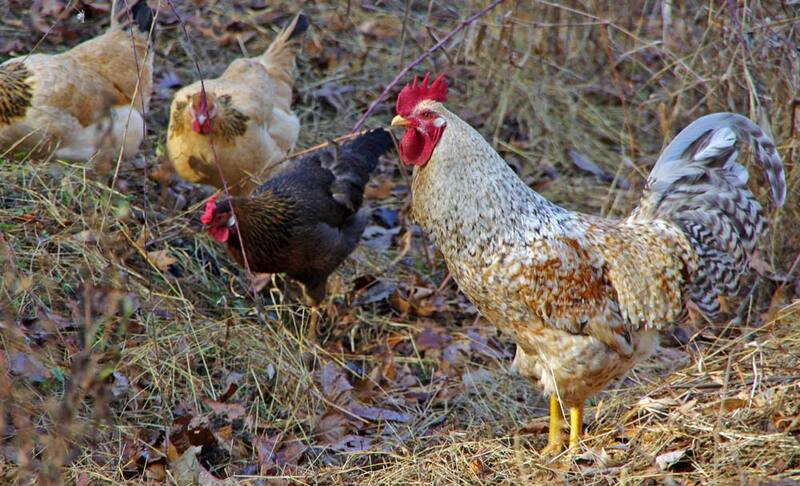 Limit your roosters to about 1 per 9 hens, depending on the breed. Don’t give your extra boys access to the hens, even while ranging. Poultry swaps are great places to pick up juveniles or adult birds of breeds that you can’t wait to get started with. However, this is the quickest way to bring disease into your flock. Make sure that you have a quarantine area set up to house any chickens you bring home, and keep them confined for at least a month. The quarantine area needs to be far enough away that feces and litter cannot find their way to the main flock’s area. Also keep your flock away from the quarantine area while free ranging. Don’t use the same feeders or waterers in one group and then the other, and always care for your main flock before the quarantine group. Be aware of dirty hands and shoes. If after a month the quarantined birds show no sign of illness, then it is most likely safe to introduce them to your flock. Be aware that some diseases may not become evident until the chickens are under stress, so there are no guarantees that illness might not show up later. The safest bet is not to bring home anything older than a chick. The best way to protect your flock from nighttime predators is to lock them up in the coop – door closed and latched. The wire of the run is easier to penetrate than the coop in most set-ups, even where the run’s wire is dug into the ground. A persistent predator such as a raccoon might find a way in – between the wire roof and the wire wall, though a rusted corner – or just grab a chicken right through the wire. Although hardware cloth is stronger than chicken wire and is too tight to allow small hand through, the safest bet is always to just close the door and latch it every night at dusk. Whatever feed you have decided to give, be it store bought or homegrown, your chickens should eat mostly that and what they scratch up for themselves. Too many treat will throw off the nutritional balance of their diet. Beware of too much corn scratch or too many purchased processed treats. That said, of course people have raised basically healthy birds on range and scratch alone. However, most of us are not able to provide the diverse nutrition that ranging on a farm and farmyard provides. 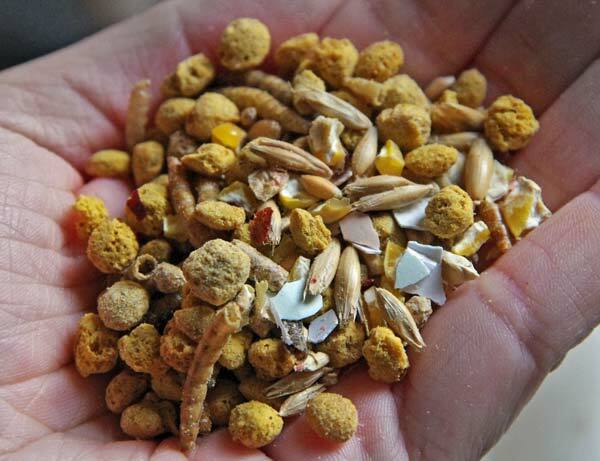 Instead, our balanced feeds prevent nutritional deficiencies that can decrease lay, shorten lifespans, or cause deformities or impaired hatchability in offspring. 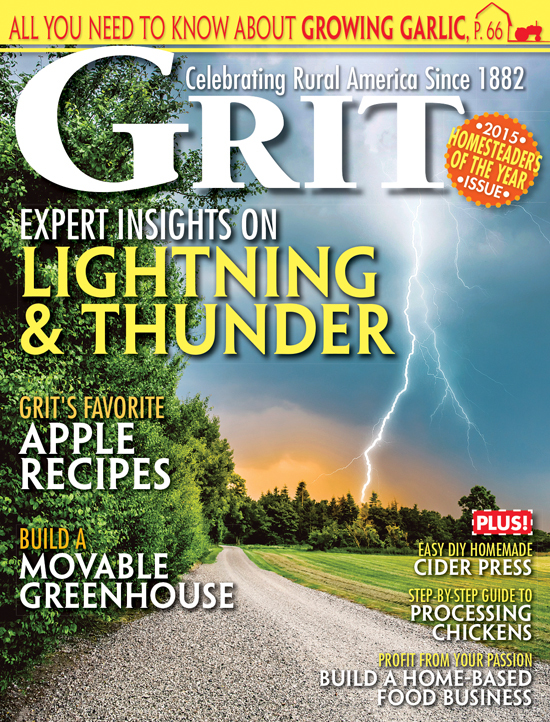 Fermenting your feed is a great way to increase the nutrient value. If you are hatching your eggs, be sure to feed an enhanced breeder ration as epigenetics affect both chickens and humans alike. For more tips, check our Ten Tips for the New Year and Getting Started with Backyard Chickens on Scratch Cradle, and thanks for reading! Thank you for bringing more information to this topic for me. My only rooster had to be turned into chicken stock this past week. He got so aggressive, I couldn’t go into the chicken pen. He was terrorizing the 6 hens to the point that one wouldn’t even leave the coop. They are much happier now, and gaining weight. Their feathers already look better. Very wonderful post thank you! yes I am very guilty of too many treats. I have two roosters and eight hens. They are 10 weeks old. One rooster is dominant. How do I choose which one to keep? Hi. 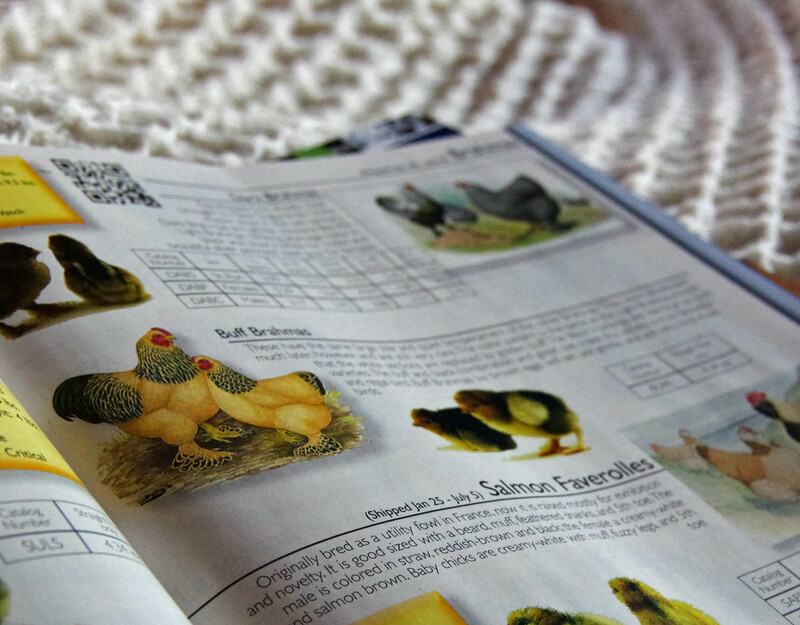 I’m new to chicken raising but I read everything I can get my hands on about the subject. I had 18 chickens, 15 were ladies and three were roosters. I had a feeling when the 3 boys were mature they would work over my girls, so when the flock turned 14 weeks I gave away 2 of the roosters. I kept the ‘kind one’ that seemed to get along with everyone. I made the right choice. They are 18 weeks old today and everything has worked out fine…. I hope this helps. Yes, I have some barebacked ladies myself! In one coop, I have 2 roosters in with 9 hens at the moment, and it is definitely one too many. The hens higher on the pecking order are still looking good, but the lower-status hens are treaded more often. Dawn, I agree it is fun when they all come running! If you still want to give treats, you could try throwing them a mix of more nutritious supplements or maybe just mix it up – mealworms one day, sunflower seeds the next, and so on. That way, they are not getting too much of any one thing over the long run. Darn it! I have to slow down on treats? ok. ok. It’s so fun when they see you and a whole flock comes barreling at you. I would rather have them healthy. Also guilty of the rooster problem. My buff brahmas have gigantic pink backs…so sad. Time for some chicken stew. Guilty of the rooster problem !!!! !